I eat lunch alongside my students, and a couple of years ago, I noticed a few of my students had a lunch carry case with a metal tray inside that looked like an army (prison?) lunch tray with divided sections. The tray had an attached lid that clipped closed and fit inside a thermal carrier. 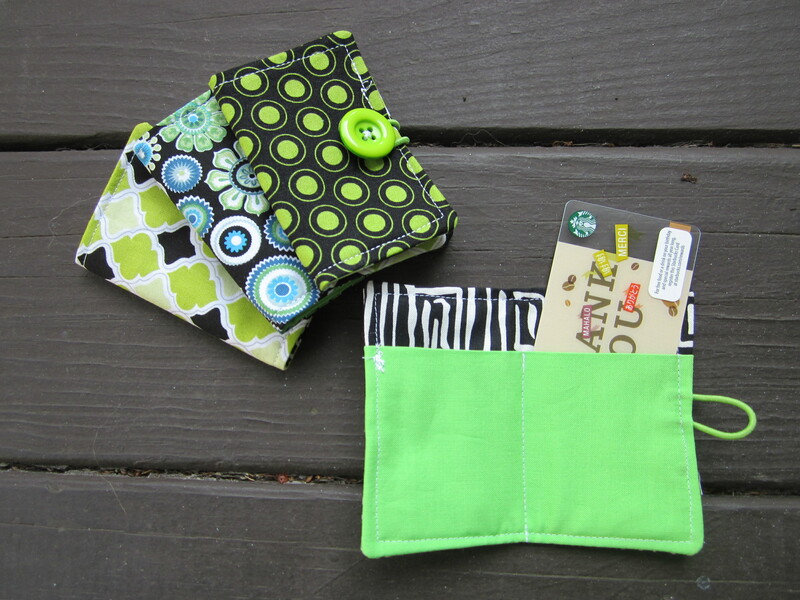 There were pockets on the outside that had room for a juice pouch or small water bottle. I loved this lunch bag. I had to have it for my own children. The lid for the metal food tray stays attached, so I do not have to scramble to find lids in the morning, which I think is the benefit to this product over other bento style lunch boxes. 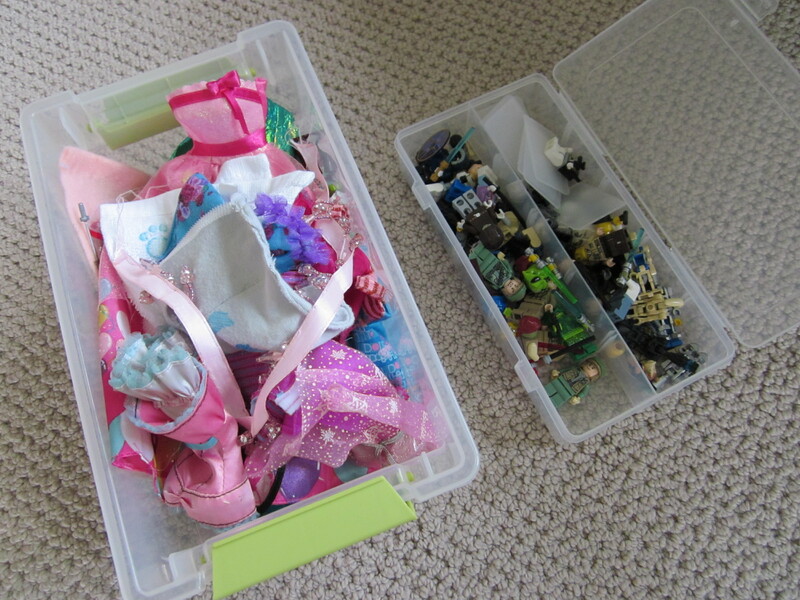 We (and by “we” I really mean TheRoomDad) fill each compartment in the tray and clip the lid closed. We have not had to buy lunch baggies or mess with smaller lunch tupperware containers since we started using the PlanetBox. The metal tray is dishwasher safe. The kids empty any leftover lunch bits and drop the tray in the dishwasher when we get home. I just have to remember to run the dishwasher at night. It dries completely unlike the tupperware that is perpetually wet after a dishwasher cycle. Place a flat icy pack on the bottom of the carry case under the tray to keep the food cool. You can purchase special icy packs from PlanetBox, but my Blue Ice packs work just as well. There are a variety of sizes available; my children have The Rover. I do need to cut crusts off the bread to fit a whole sandwich in the large compartment. We also avoid anything juicy (like cut strawberries) that will drip and leak. Three years ago when Mr. Star Wars started 1st grade, we bought the bigger L.L. Bean backpack with the water bottle pocket on the side and added his name for ID purposes. 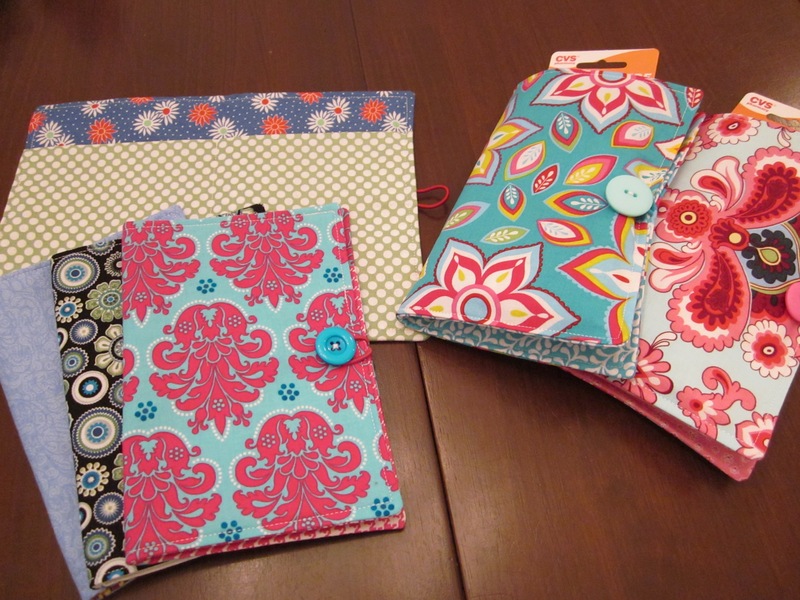 The bag has a variety of pouch sizes for pencils, pens, and books. 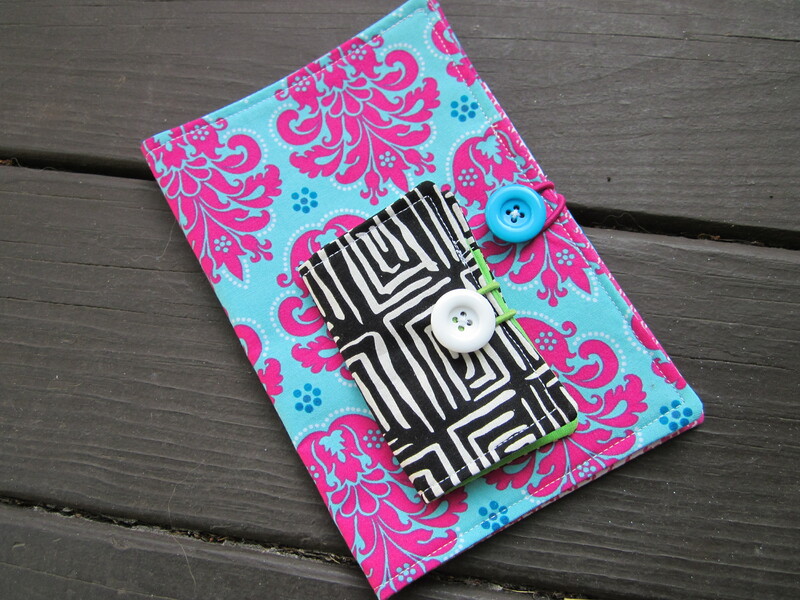 It also has little secret places, which are great for hiding cash or checks when I have to send field trip money to school. 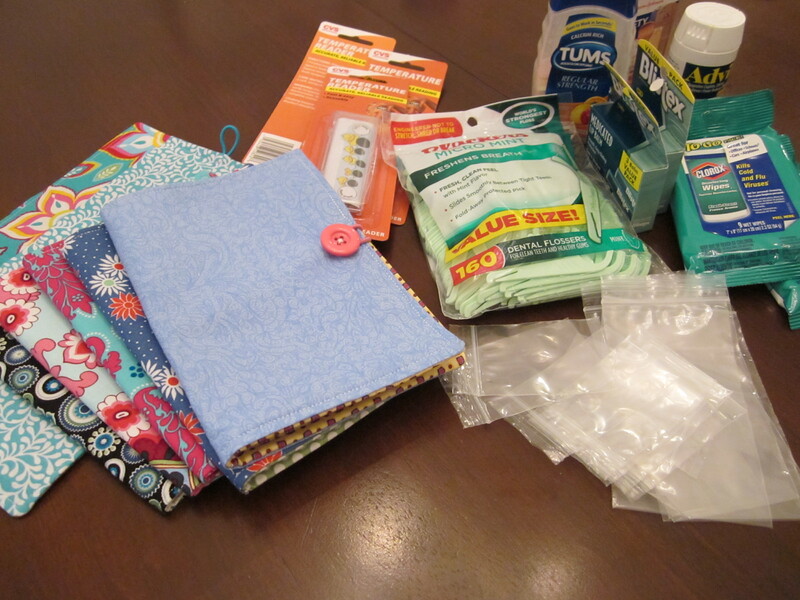 The bag is easy to clean, and I have not had any zipper problems. The nice thing about L.L. Bean is that they will replace the bag if we ever do have problems with it. It is double insulated like a Tervis tumbler, so it does not sweat while sitting on a desk (very important to teachers). The drinking spout can be pushed down to close the water bottle. The lid has not started leaking yet. I can detach the straw. 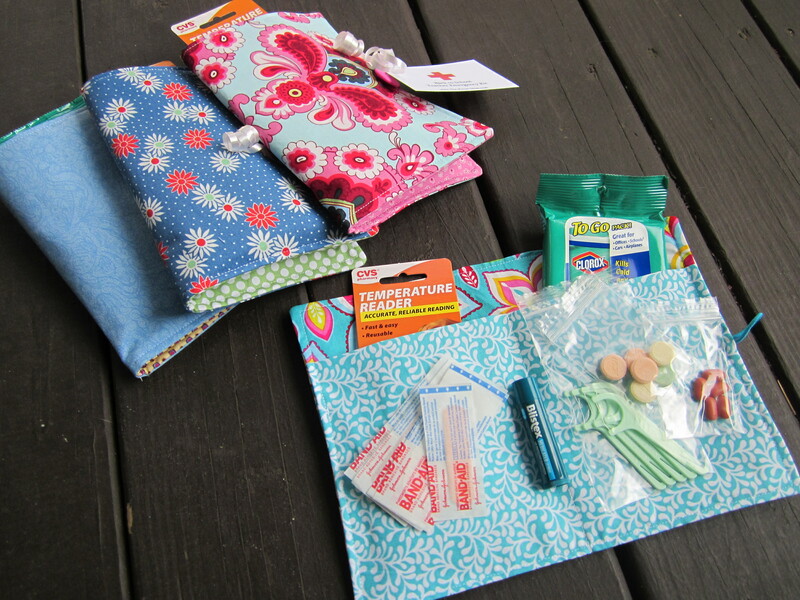 What are essential school supplies in your house and is the brand important? P.S. 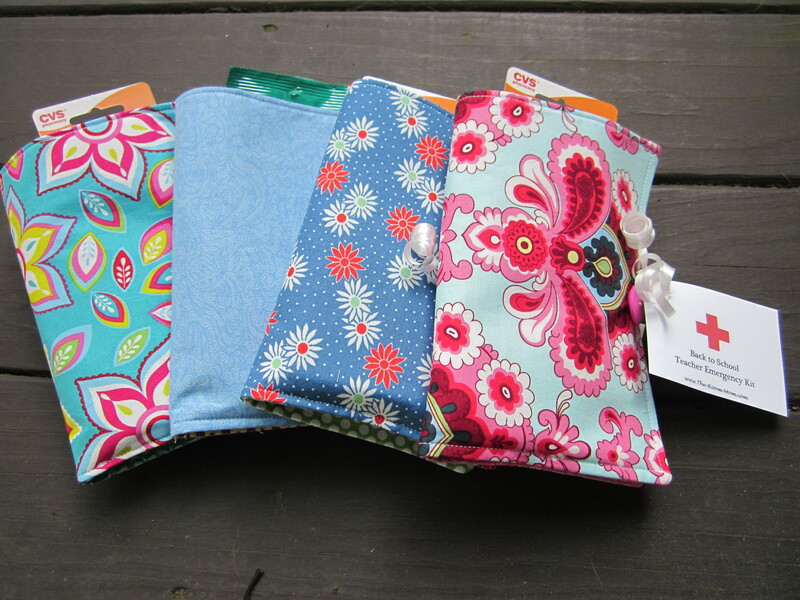 Teacher friends, there is a one day sale at TeacherPayTeachers Wednesday, August 20, 2014. Use code BOOST to save up to 28% off your purchases. Start your shopping by visiting This InLinkz Link-up to see some favorite upper elementary teaching resources. Some of the 11-year old girls waiting to start their swim practice sat with another mom and me and helped us file swim meet ribbons. The ribbons are filed by last name into a folder for each swim team family. Filing was going well until we got to the Smiths. There are 3 Smith families on our team. The helpers were momentarily stumped until they realized they needed to refer to the first names (the sub-category) to file correctly. Ordering information alphabetically requires multiple thinking steps. First, the child must compare a letter to the alphabet as a whole to figure out where its place should be. Typically, a kid will jump to the beginning, middle, or end of the alphabet and then get more specific. That is a great skill because you are generalizing first. The next step is to determine an exact location. The child recalls the alphabet order and matches letters. If there are multiple choices like the 3 Smith families in our swim box, then the child has to move to a sub-level and process the steps again. Ordering information is an essential skill for successful students. We need to constantly rate or qualify information and then prioritize to complete tasks. Children begin learning different strategies for grouping information at a young age. In my experience, students who can organize information in a logical order well tend to finish homework and classwork more easily, are less likely to lose or forget information (both hard copy and information stored in their brains), need fewer reminders from parents, and can more easily problem solve. ABC Order: Put information in an order that follows a standardized system like alphabetical order (or numerical order). Children will know to look for information at the beginning, middle, or end of a list. When there are a group of items that all start with the same letter, moving to the next letter helps students practice a system of sub-categorizing and learning to organize items as a whole then break the whole into smaller parts. Grouping: Identify similarities and differences among items and sort and separate. This helps focus attention on the key idea and eliminate distractions. On laundry day, have the kids sort the laundry by creating piles of white, light, and dark to help you get the loads into the washer. 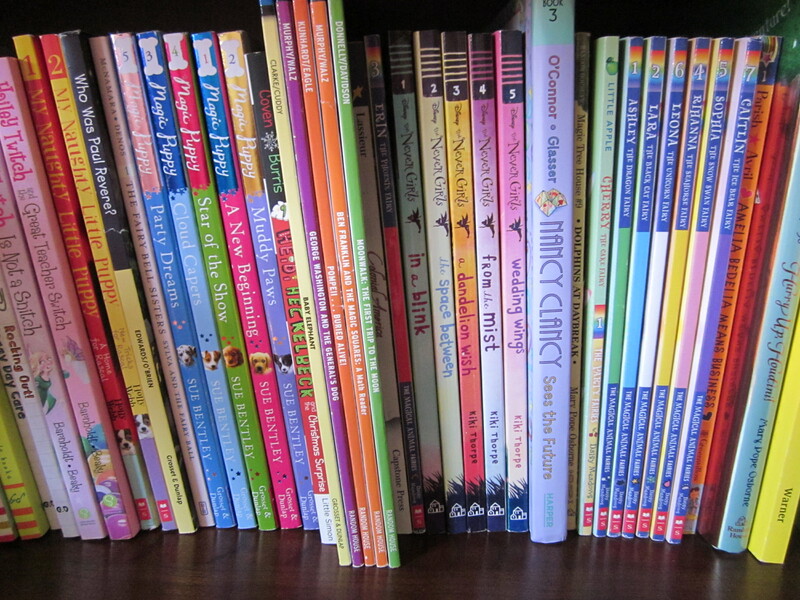 Organize a bookshelf by author’s last name, series in numerical order, size of the books, chapter books in one area and picture books in another (and board books in their own area), or paperback versus hardback books. Ask your children to put clean laundry away in the drawers. Kids can put all socks together in one part of the drawer, all of the shirts in one area, and all of the pants and shorts together. Organize a collection. 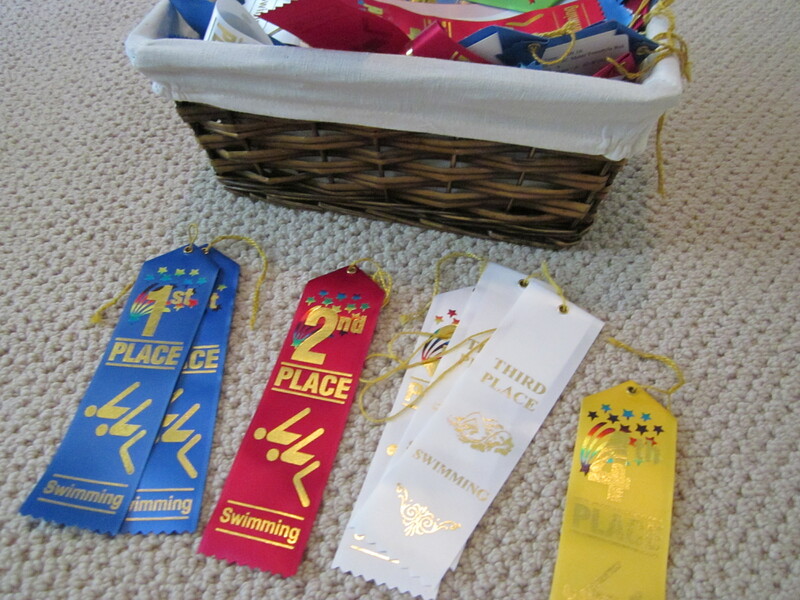 Sort and store swim ribbons by color, rocks by size, or stuffed animals by size or “species”. Put groceries away by type. Separate fruits and vegetables and put them in a designated spot. Group chips and/or snacks together in the pantry. Determine non-food items like detergents and put those away in the appropriate area. Group topics and facts when completing homework assignments. This is particularly helpful when completing textbook reading assignments and will double as a good study skill. List similarities for the main ideas in the reading assignments– something like noting all Pilgrim clothing details, all Pilgrim food details, and all Pilgrim shelter details on separate lists. Children today have information thrown at them at a much higher rate than I did growing up. When a child researches polar bears, chances are they will not look up “polar bear” in a big heavy (paper) Encyclopedia Britannica and locate one page of organized facts. They will Google the animal and get thousands of text and image responses. How does the child choose? Having a variety of systems for sorting information is essential, so kids can eliminate unnecessary data and retain what they really need to succeed. What are other good sorting activities that are already built into your daily life? I so enjoy making party food, cooking a big dish for a group, or assembling appetizers and class snack foods, but I avoid the daily grind of cooking family dinner that will be eaten in 3.7 minutes followed by kitchen clean-up like the plague (and don’t even get me started on packing school lunches). If TheRoomDad has taken care of the grocery shopping, I can be persuaded to make fast dinners during the week that have minimal clean up. 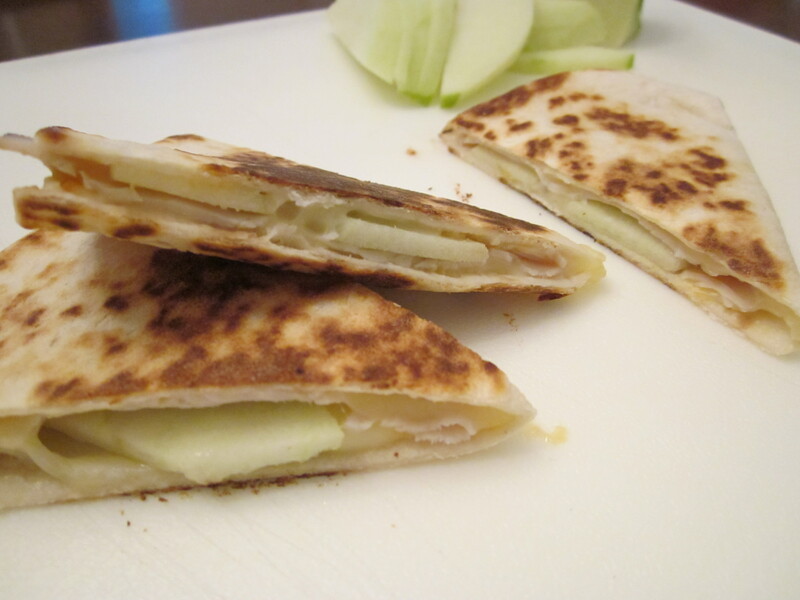 I have a recipe for turkey apple quesadillas that is acceptable as a mid-week meal. It is an odd combination of ingredients, but the adults and children at my house love them. The other nice thing about the recipe is the fact that all of the key food groups are in one bite, so I don’t have the pressure of having to come up with a side dish TOO. Utensils are not required to eat this “meal”, and we really don’t have to have plates either, so clean-up is a breeze. Have you developed a resistance to making weeknight dinners night after night after night, or is it just me? 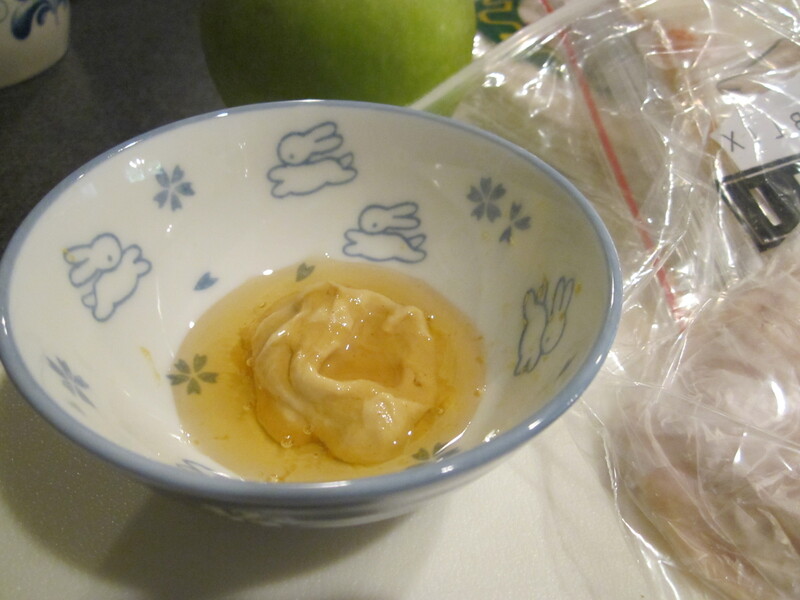 Mix equal parts honey and Dijon mustard in a small bowl. I start with 1 tablespoon each of mustard and honey. 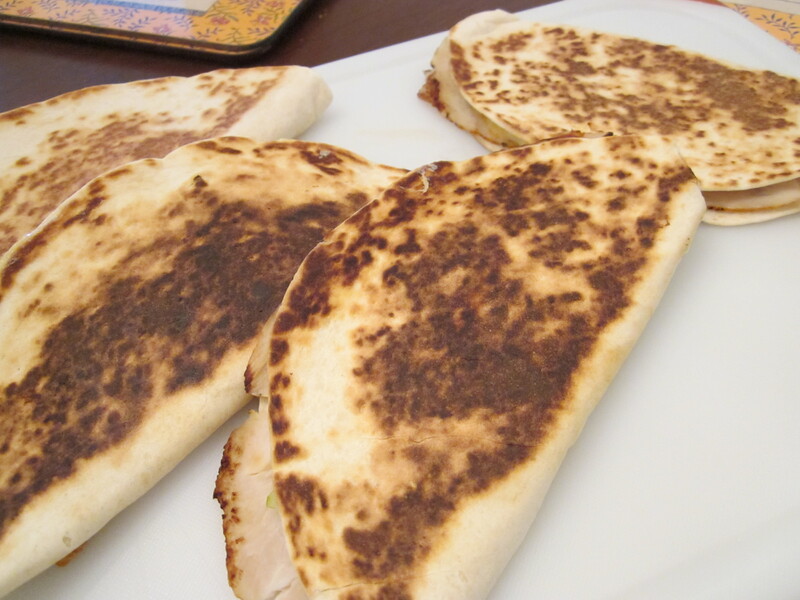 That is usually enough for 4 quesadillas (4 large tortillas folded in half). 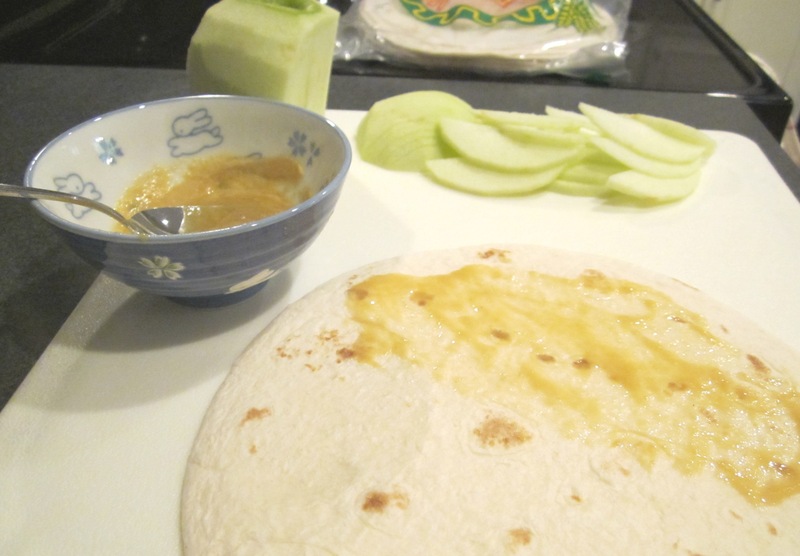 If using the large tortillas, spread the honey mustard on half of the tortilla. Layer 1 1/2 slices of Munster on the honey mustard spread. Since I cut the deli slices into smaller strips, I place ~3 1/2-slices across the half of the tortilla with the honey mustard. Add 1-2 slices of turkey on top of the cheese. 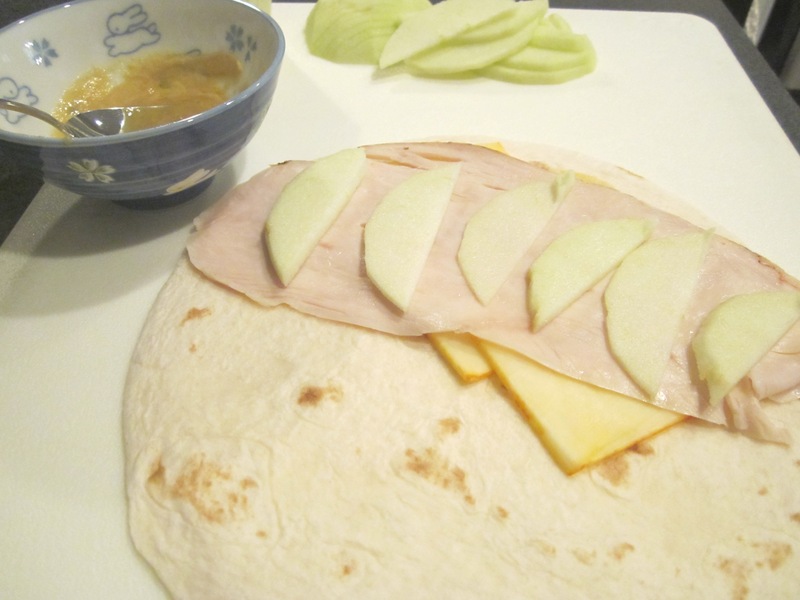 Place several apple slices on the turkey. 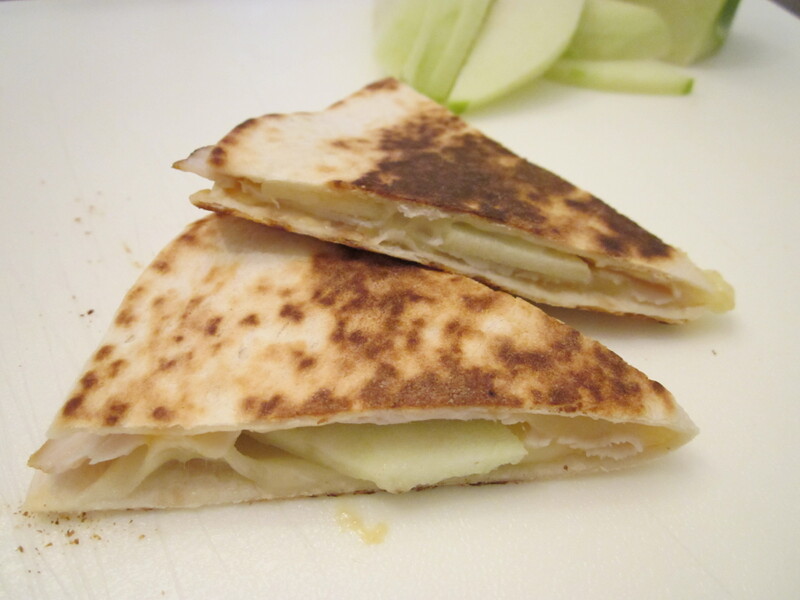 Top the apple slices with 1/2 to 1 cheese slice. 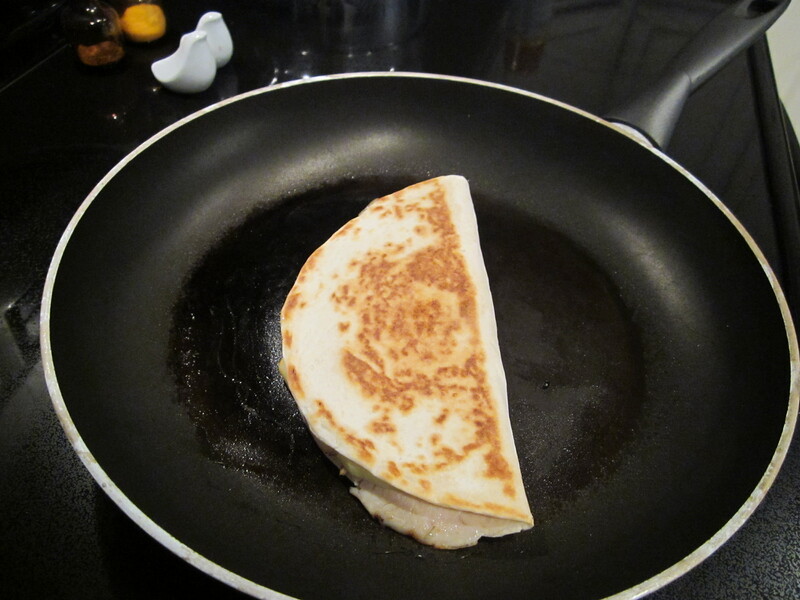 Fold the tortilla in half to close. 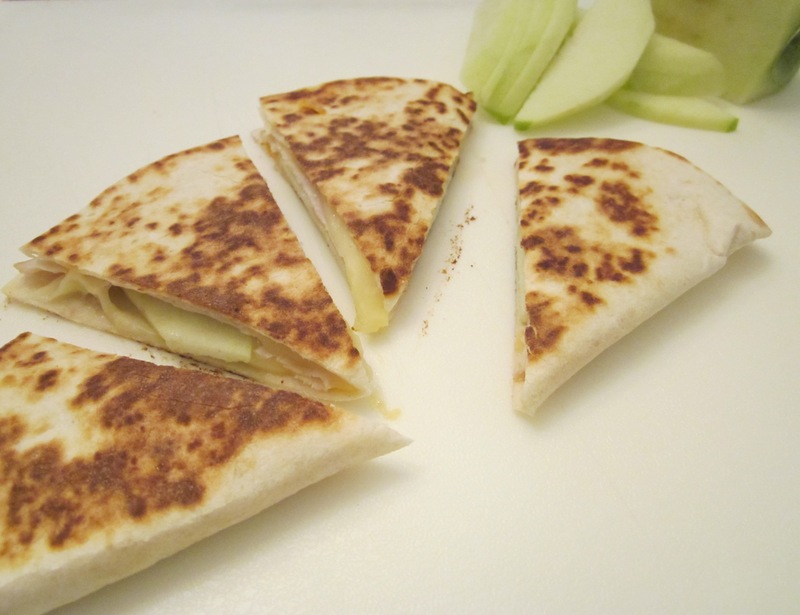 Spray a skillet with Pam and using medium heat, cook the quesadilla on both sides until the cheese is melted, and the tortilla is browned. Remove from heat, cut in thirds or quarters, and serve immediately. You can purchase a “brick” of Munster cheese and grate the cheese instead of using slices.